LEGAZPI CITY, May 25, 2017 - The stunningly successful summer Zumba last year at the Sto. 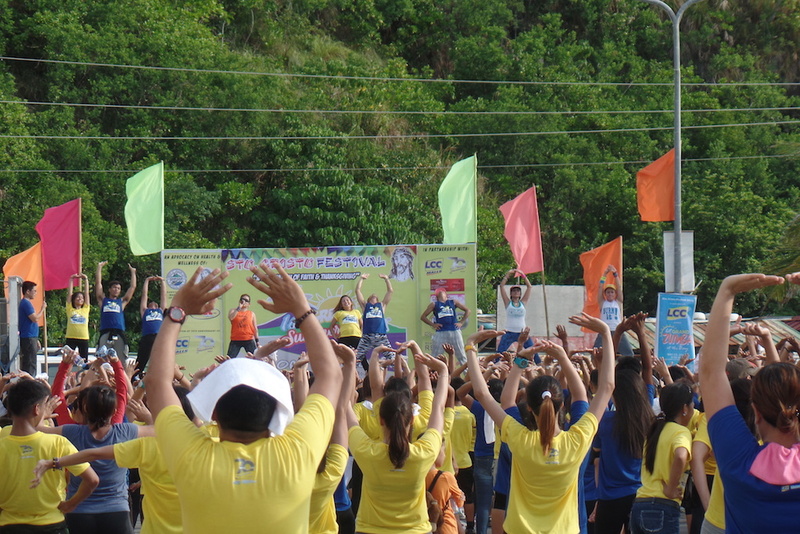 Cristo Festival inspired the Sangguniang Barangay of Dap-dap at the helm of Punong Barangay Mayette N. Barcelon in partnership with DZGB-AM and OKfm-Legazpi to come up with the 2017 edition of the Grand Summer Zumba happening on May 27, 6AM at the Legazpi City Boulevard, Brgy. Dap-Dap, here. Enjoy and Dance to great music, with great people, and burn a ton of calories with even realizing it with great licensed ZIN instructors. The registration fee is P200 pesos with free T-shirt. The proceeds will go for the repair of the Sto. Cristo Chapel of Dapdap eyeing to be a SHRINE due to the yearly influx of devotees of the sacred patron, Sto. Cristo in the said barangay. To register, pls call DZGB-am at 480-5509 or text Jinky 0915-6918605 or Champ 0905-1125290. "It is not enough that you eat healthy food. You must also exercise regularly".